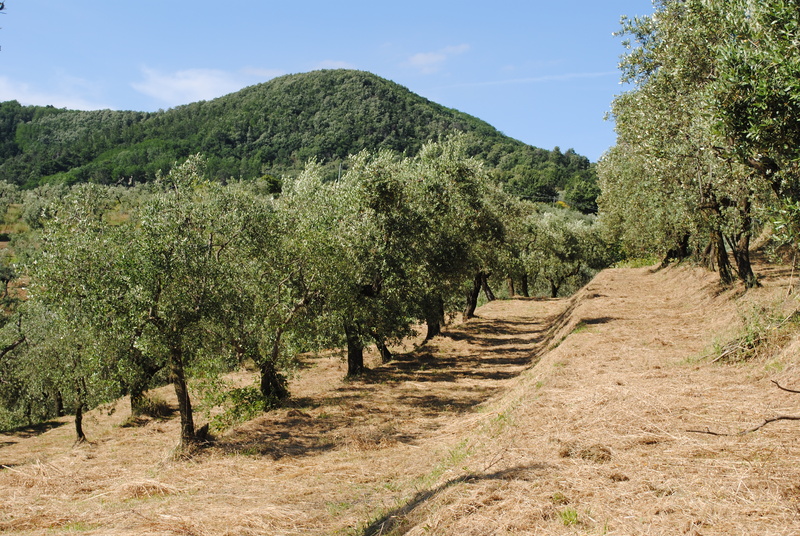 Although I loved the long-grassed meadow look that our olive grove sported in spring, there are solid reasons for mowing the grass which are impossible to argue with. The tall grass, once lush and verdant, is beginning to yellow and dry, becoming a fire risk. Secondly, in order to work (throughout the summer but especially at harvest time) we need to be able to walk freely in the grove. 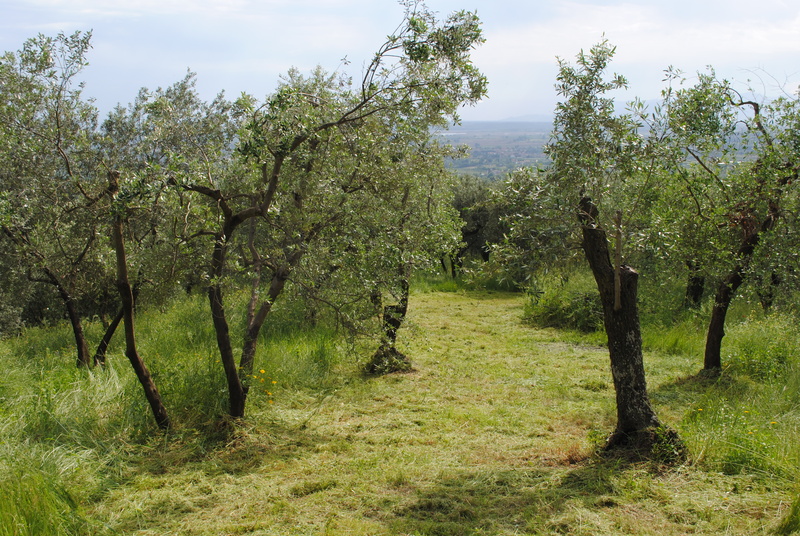 Wading through waist-high grasses, I know it would be impossible to spread nets and pick olives with the grove in this state. Last but not least, as the cut grass decomposes it will provide a useful fertiliser for our trees. At this time of year there are also snakes, including poisonous vipers, in the grove. I saw my first one last week, but I ran away too fast to identify or photograph it. Although we take the precaution of wearing boots and carrying sticks to beat the ground, I would prefer to be able to see what’s underfoot. As we can’t justify a tractor for our small grove, we have invested in the next best thing, a back-pack strimmer of the type used by council workers to trim verges. Mornings and early evenings we disrupt the peace of the countryside and work our way around the hillside, transforming it from wild and green to neat and brown. In many places wildflowers have gone to seed and been replaced by grasses – beautiful but not as precious to me as the showier flowers – and luckily poppies, blackberries and wild roses are flowering around the edges of the grove, so can be left to bloom. Nonetheless, I ran in front of the strimmer, gathering flowers to bring home, extending the pleasure they provide for a few more days. 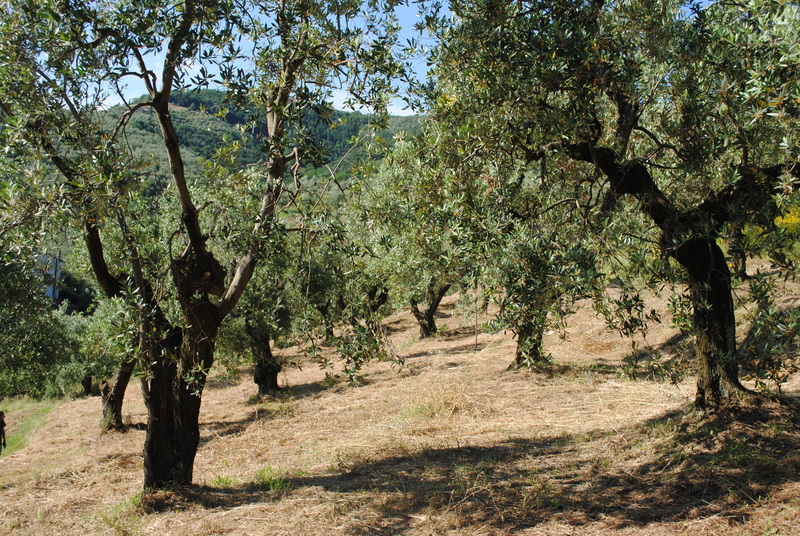 What a blessing to have such a beautiful grove of olive trees. It must be very peaceful to just look at it. And to be surrounded with delicately colored wildflowers. It is a wonderful life. Yes, hard work but such a beautiful place, and constantly changing. I’m very happy for you both. It sounds like a dream come true to me. Thank you for the kind wishes. Hard work, but how blissful. Thanks for visiting my blog that has led me to yours. Thanks for stopping by. Yes, hard but rewarding. 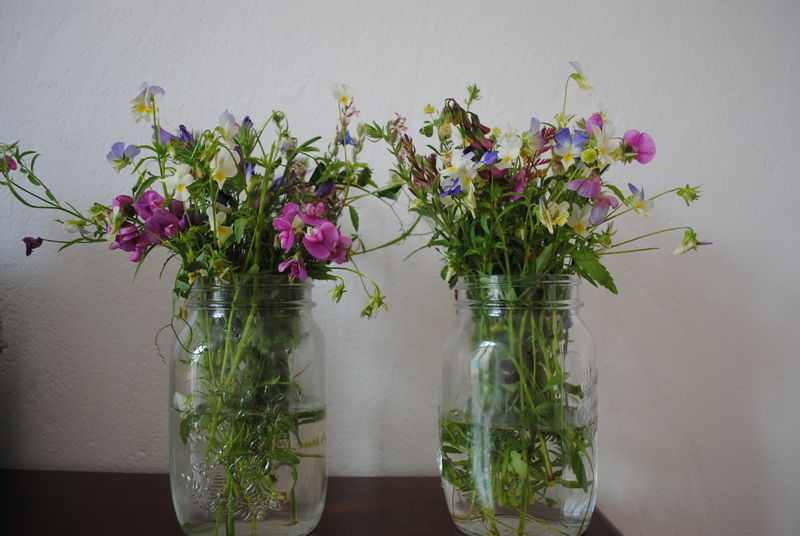 I’m glad you saved the wild flowers! I can understand your reluctance but also your very good reasons for mowing, and now you can see the beautiful trunks better too. That’s true, and of course the flowers will be back next spring. 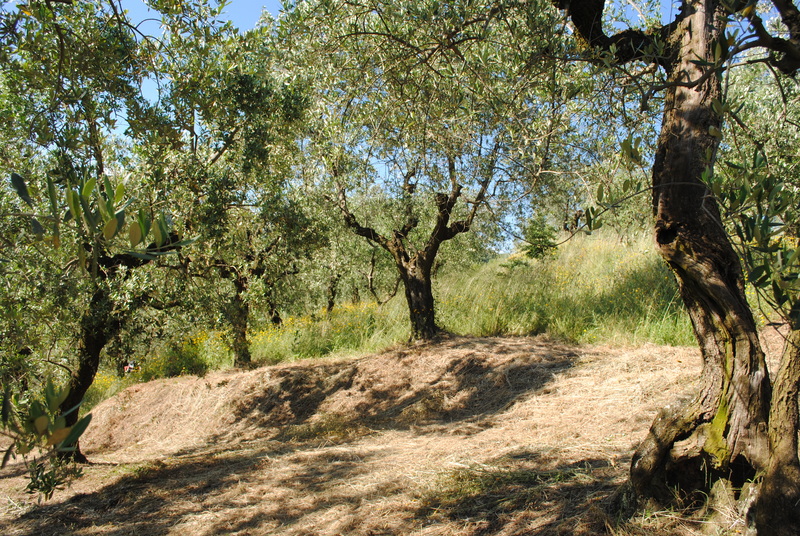 Wildflowers and olives for your harvesting: what joy! Yes, a lovely combination. We can’t complain. My pleasure, thanks for visiting! Yes it’s amazing to share the experience of people so geographically distant.